SPAR Snarøya is located in Bærum, a suburb of the capital city, Oslo. 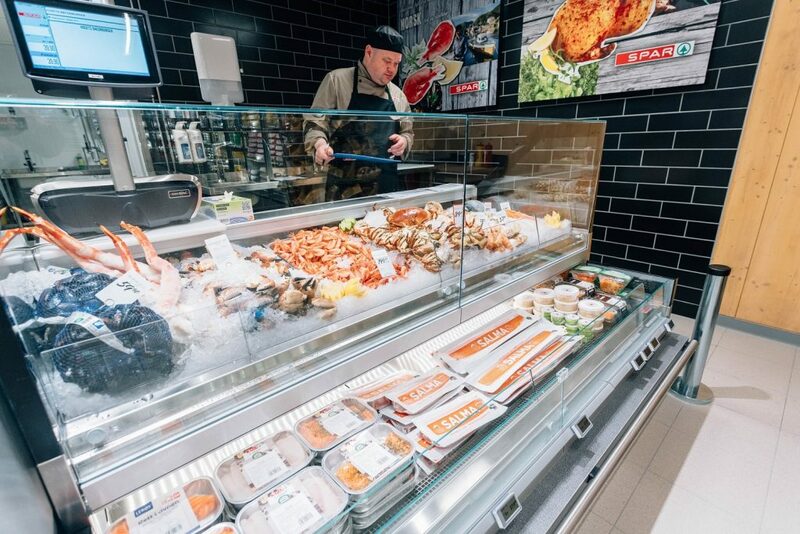 SPAR Norway’s first eco-friendly store opened on 24 August with many customers present to celebrate the occasion. A strong focus on the use of environmentally-friendly materials can be seen throughout the store with many innovative solutions having been adopted that will reduce both the energy consumption and the carbon footprint for the building. 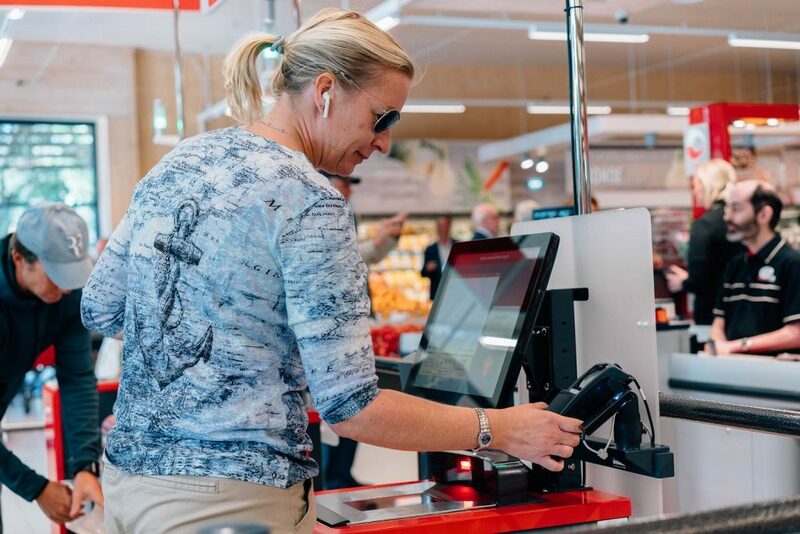 “This store is an important environmental project for SPAR and a contribution to NorgesGruppen’s – the parent company of SPAR Norway – ambition to reduce greenhouse gas emissions,” said Ole Christian Fjeldheim, CEO of SPAR Norway. 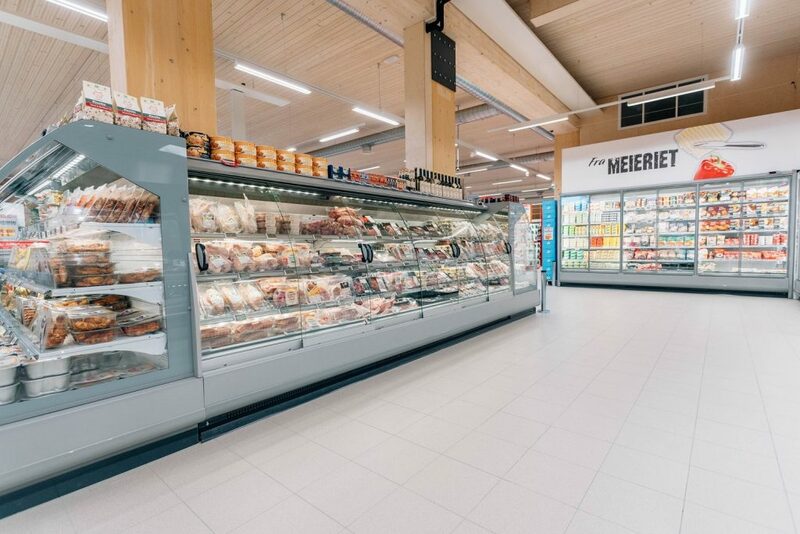 The supermarket, which has a sales area of 800m2 is the group’s first store built without wall insulation. The roof has been covered with grass which captures CO2 from the atmosphere and 75m2 of solar panels on the facade generate over 7000-kilowatt hour of electricity per year. The 55 parking spaces were developed using low carbon asphalt and charging stations for electrical cars and bicycles are available. 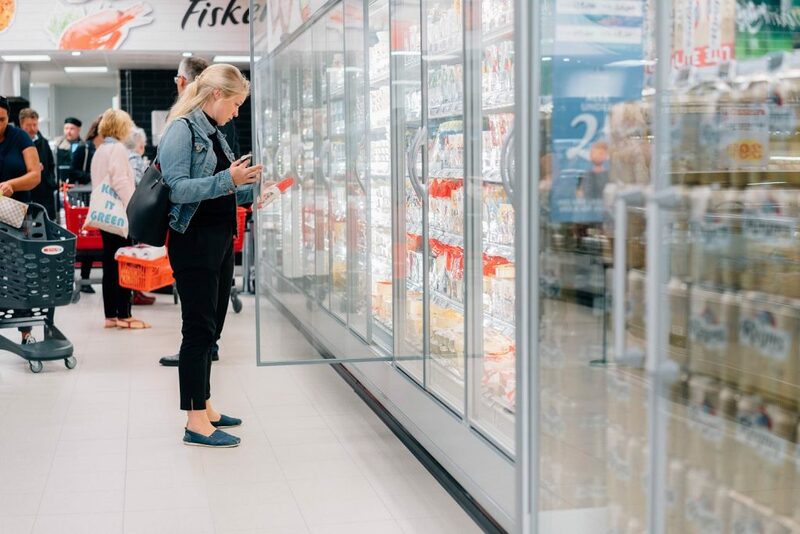 Other solar panels generate power for the environmentally-friendly led lighting used throughout the store, whilst excess heat generated by the refrigerators and freezers is used to warm the supermarket. When combined, these energy and environmental protective measures save the equivalent CO2 emission of producing approximately 10 million plastic bags. Further reductions in plastic have been achieved in the F&V department amounting to almost 100 tonnes each year. View the store through the eyes of the proud manager by clicking on this link. NorgesGruppen ASA is the parent company of SPAR Norway and is the market leader in the highly concentrated Norwegian grocery market. The SPAR licence for Norway was signed by NorgesGruppen AS in 1984. In February 2013, NorgesGruppen purchased 49% of the Dagrofa Group – the licence partner operating the SPAR Brand in Denmark. 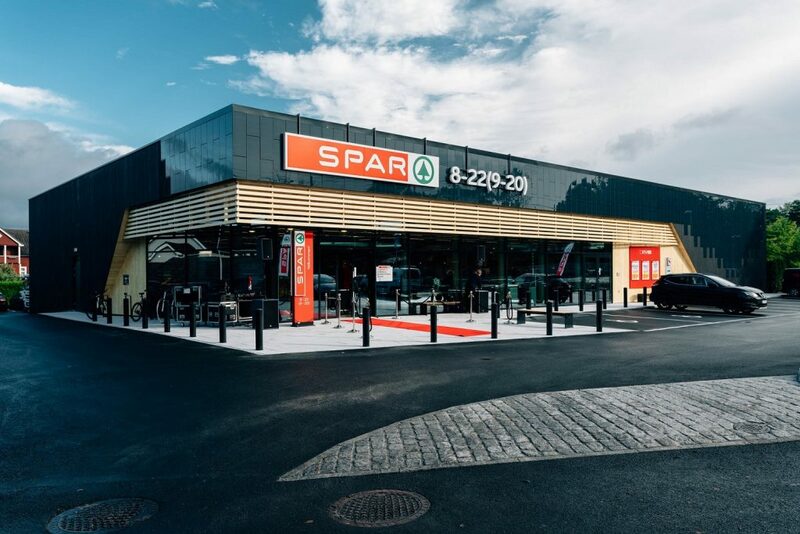 SPAR Norway operates two retail formats: EUROSPAR, which continues to see expansion and growth following very positive consumer response, and SPAR, the neighbourhood supermarket format, which was the first format to be established.